Painting of Dickens in Boston 1842. 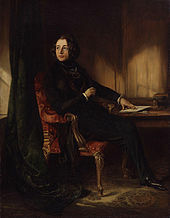 Dickens painted by Ary Scheffer, 1855. 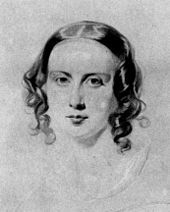 Photograph of Dickens by Jeremiah Gurney & Son, New York, 1867. ↑ 1.0 1.1 Lansbury, Coral. "Dickens, Charles (1812-1870)" (English ভাষাত). Australian Dictionary of Biography On Line Edition. Australian National University. http://adbonline.anu.edu.au/biogs/A040065b.htm। আহৰণ কৰা হৈছে: 2010-03-16. ↑ 3.0 3.1 3.2 3.3 3.4 3.5 3.6 3.7 কনকসেন ডেকা (১৯৯৪). আধুনিক বিশ্বৰ এশগৰাকী মহান ব্যক্তি. দিছপুৰ প্ৰিণ্ট হাউছ. পৃষ্ঠা. ১০৮-১১১. ↑ Cousin, John W. (1910). "Charles Dickens (1812-1870)" (English ভাষাত). A Short Biographical Dictionary of English Literature. University of Adelaide. http://ebooks.adelaide.edu.au/d/dickens/charles/। আহৰণ কৰা হৈছে: 2010-03-16. A Dickens web page, portal.